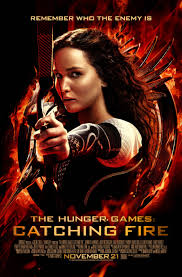 As I mentioned in my review of The Hunger Games (2012), I told my friend that I would see The Hunger Games: Catching Fire with him, even though I was not very interested in either of the films. I’m not going to watch a sequel to a film without first watching the original, so I watched The Hunger Games at home before going out to the theatre. I was pleasantly surprised at how much I enjoyed The Hunger Games, and this made me excited to see the sequel. I would certainly not recommend watching The Hunger Games: Catching Fire without first watching The Hunger Games. It is pretty much essential to watch the movies in order. I would advise against reading the rest of this review if you have not yet seen The Hunger Games. 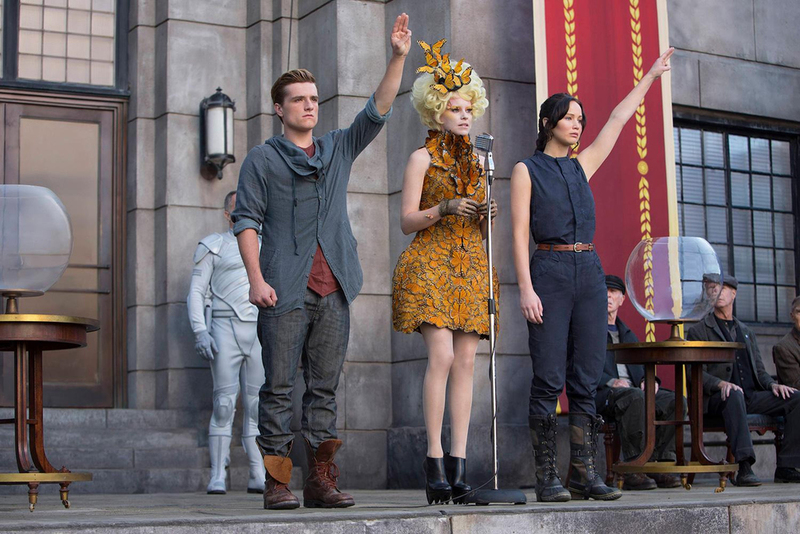 The Hunger Games: Catching Fire picks up where the first film left off. Through an act of defiance, Katniss Everdeen (Jennifer Lawrence) and Peeta Mellark (Josh Hutcherson) were the winners of the 74th annual Hunger Games. Their public defiance was enough for the government to want to make an example out of them by punishing them in hopes of preventing a revolution. The film was directed by Francis Lawrence and the rest of the noteworthy cast includes Donald Sutherland, Woody Harrelson, Stanley Tucci, Elizabeth Banks, Phillip Seymour Hoffman, Lenny Kravitz, Liam Hemsworth, Jeffrey Wright, Amanda Plummer, Jena Malone, and Toby Jones. Like most sequels, I expected this movie to be a step down from the first film. My expectations were wrong once again. It’s a rare thing that a sequel is better than its predecessor, but this is exactly the case with The Hunger Games: Catching Fire. It’s as if the filmmakers ironed out all of the kinks from the first movie in order to make the sequel. Everything that I liked and disliked about The Hunger Games was improved upon in The Hunger Games: Catching Fire. It was another welcomed surprise. The acting was more passionate, the special effects were sharper, the story was more interesting, and the quality of the film as a whole was just plain better. 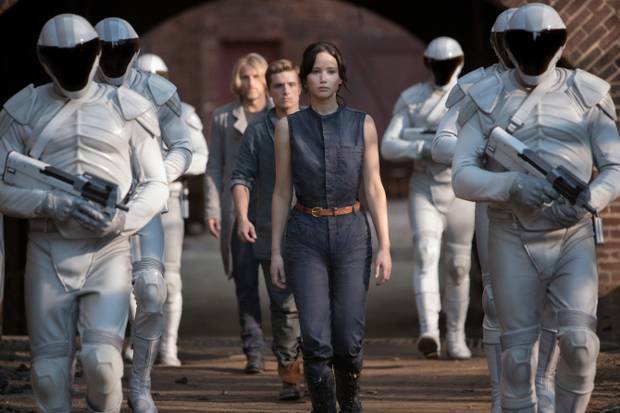 Fans of The Hunger Games will undoubtedly like The Hunger Games: Catching Fire even more. The film is a higher caliber and therefore delivers a stronger potency. Posted on November 29, 2013, in Action Movie Reviews, Drama Movie Reviews and tagged Amanda Plummer, Donald Sutherland, Elizabeth Banks, Francis Lawrence, Jeffrey Wright, Jena Malone, Jennifer Lawrence, Josh Hutcherson, Lenny Kravitz, Liam Hemsworth, movie, Phillip Seymour Hoffman, Stanley Tucci, The Hunger Games (2012), The Hunger Games: Catching Fire (2013), Toby Jones, Trailer for The Hunger Games: Catching Fire (2013), Woody Harrelson. Bookmark the permalink. 6 Comments. It’s nice to hear such a positive review for it. Everyone seems mixed about it. Good review! Thanks Cindy! Both movies caught me by surprise. It’s not often that the sequel is better than the original, but that is the case here, in my opinion. I just saw it this evening — agree with your review but, damn, I wasn’t pleased with the ending. It was too abrupt, too obvious a set-up for a sequel. I felt cheated of the gratification of a real ending. I have to admit that I felt the same way. Like you said, it contains a spoiler, and that is the only reason I didn’t mention that in my review. I knew that there were going to be more movies, just like The Lord of the Rings, for example, but I certainly did feel cheated out of a real ending. Right after the movie I said to my friend, “I guess we’ll just have to wait until next year to find out what happens.” But, it just feels like a cliffhanger. Cliffhangers are OK because they keep you wanting more, but that isn’t OK when you have to wait at least a year for more. That part was a letdown. However, the movie as a whole was a big surprise. Thanks for reading, Pierre, I appreciate it. I’ve got plenty more reviews where that came from and I’ll have more up soon. Take care!